This hotel is truly located in the heart of Bangkok. It is close to Victory Monument and the nearby sky-train station allows access to some of the most stunning shopping centres and tourist attractions. This air-conditioned city hotel is a fully serviced residence that offers cosy accommodation ranging from studios to suites with a living room. 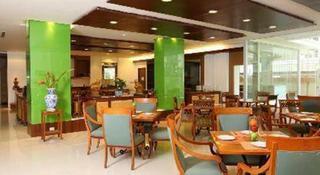 Delightful in-house facilities for dining and recreation are provided. Each of the guest rooms comes with a double or king-size bed, as well as an en suite bathroom with a bath, shower and hairdryer. Further amenities include a direct dial telephone, satellite/cable TV and individually regulated air conditioning. Each guest room also has a minibar, a fridge and balcony or terrace. Guests may choose to relax with a massage. Breakfast and all day dining menu are available. Ideally situated in Bangkok's colourful shopping, business and entertainment centre, this city hotel offers excellent comfort, service and dining, all at the best value in town. International airports are around 30-40 km away. 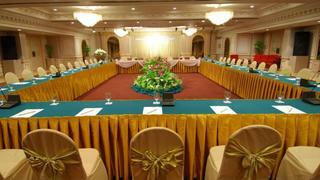 Fully air-conditioned, hotel offers guests a lobby with 24-hour reception, a safe and a car park. A bar, a restaurant, room and laundry services are provided. The tastefully decorated rooms and suites are all luxuriously furnished and equipped to international standards. All are with double or king-size bed and have a private marble bathroom with shower, individually controlled air conditioning and in-room safe. Amenities to make the stay enjoyable include two large swimming pools with a terrace and sun loungers and parasols, as well as a gym, sauna and health club. A choice of four restaurants, breakfast and dinner buffet are available. 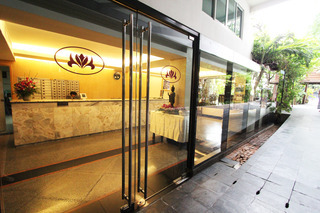 The hotel is located in the best shopping and business area of Bangkok. 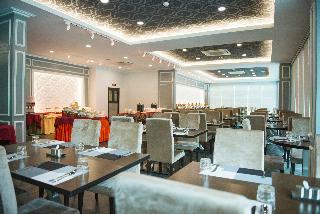 In this air-conditioned city hotel guests are offered currency exchange facilities, bar and restaurant. 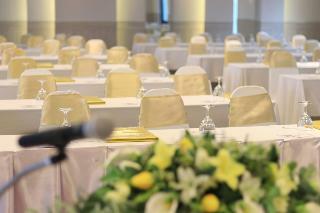 Business travellers may make use of the conference facilities. Parking is available for guests arriving by car. With its convenient location, security and privacy, not to mention delicious cuisine, this hotel offers accommodation within any budget. The air-conditioned guest rooms have double or king-size beds and all come with an en suite bathroom. Other standard features include a TV, Internet access and a safe. Refreshments are taken care of by the minibar and fridge, and each guest room also has its own balcony or terrace. 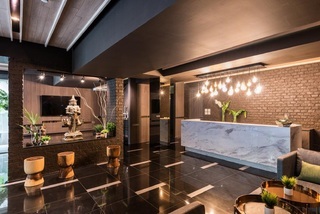 The hotel provides an indoor swimming pool and guests can enjoy a relaxing Thai massage or explore the "City of Angels" with the help from the tour desk. The hotel is known for its pleasant residential location on a small and quiet side road. It is located near King Power Duty Free, and is just 5 minutes' walk to Phayathai sky train station. The Siam Paragon, Centre Point and MBK shopping arcades are within just two stops. Moreover, the hotel is just a 5-minute walk from the airport link to Suvarnabhumi International Airport. Renovated in 2010, this 65-room business hotel features a beer garden, which is an ideal setting for drinks and entertainment. Dining options include a café, bar and a restaurant. 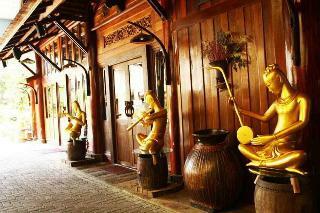 At the boutique hotel, all of the air-conditioned rooms showcase stylish interiors with a touch of Thai design. In addition to a private bathroom with a shower, bathtub and hairdryer, they feature a private balcony, a refrigerator and LCD cable TV. Bed and breakfast and full-board stays are available to be booked. When visiting Bangkok, you'll feel right at home at Picnic Hotel Bangkok, which offers quality accommodation and great service. Only 0.8 Km from the city center, the hotel's strategic location ensures that guests can quickly and easily reach many local points of interest. With its convenient location, the hotel offers easy access to the city's must-see destinations.Picnic Hotel Bangkok also offers many facilities to enrich your stay in Bangkok. Guests of the hotel can enjoy on-site features like free Wi-Fi in all rooms, 24-hour security, daily housekeeping, convenience store, 24-hour front desk.Hotel accommodations have been carefully appointed to the highest degree of comfort and convenience. In some of the rooms, guests can find television LCD/plasma screen, complimentary instant coffee, complimentary tea, linens, mirror. Besides, the hotel's host of recreational offerings ensures. 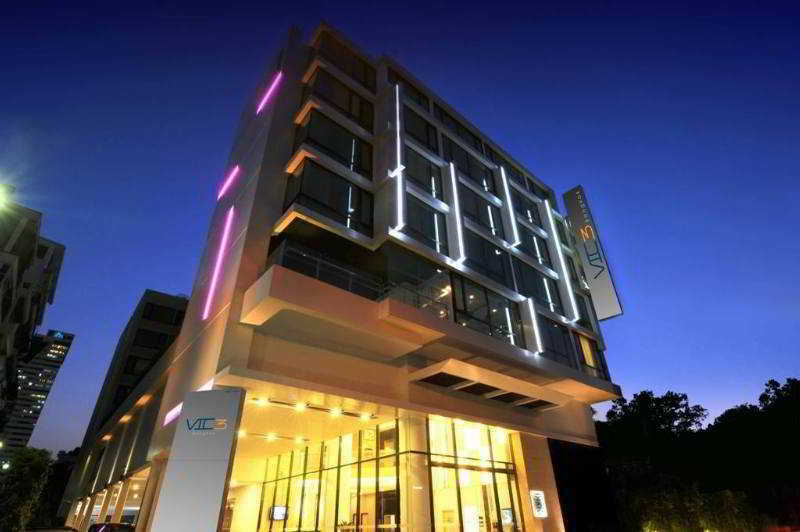 Bangkok Midtown Hotel in Bangkok features 4-star accommodation with an outdoor swimming pool. The property is located a 10-minute walk from The Jim Thompson House, a 14-minute walk from Bangkok Art & Culture Centre and 1.4 km from MBK Shopping Mall. Free WiFi is at guests' disposal.Guest rooms in the hotel are equipped with a kettle. With a private bathroom, some rooms at Bangkok Midtown Hotel also feature a city view. 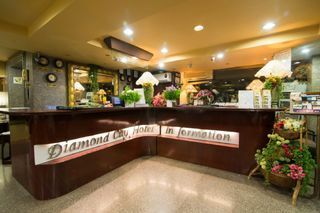 At the accommodation each room comes with a wardrobe and a TV.An American breakfast can be enjoyed at the property.Speaking English and Thai at the 24-hour front desk, staff are always at hand to help.Siam Paragon Mall is 1.6 km from Bangkok Midtown Hotel, while Siam Discovery is 1.7 km away. The nearest airport is Don Mueang International Airport, 20 km from the property.